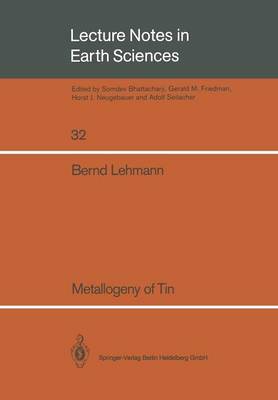 Metallogeny of Tin attempts to develop a general metallogenic model for tin in identifying the essential or relevant processes in tin ore formation. The methodological principle is based on an interplay between a background of basic petrogenetic concepts and a number of specific local and regional data on tin deposits and tin provinces. The author condenses the many apparently specific complexities encountered in individual ore deposits to a few major processes of general importance.